Over 25 boats and more than 200 participants from Mexico, the United States and Canada will be competing for the trophy in this friendly competition, considered to be the coolest in the world. The XXV Banderas Bay International Regatta is just around the corner, taking place from February 28 to March 4, 2017. 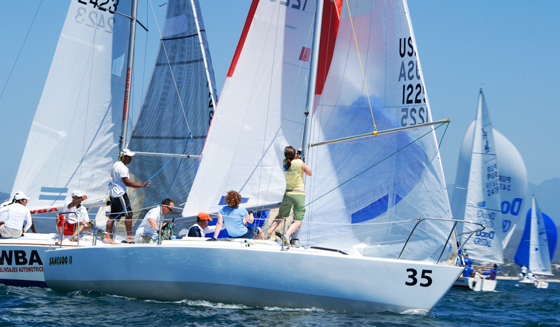 It is hosted and organized by the Vallarta Yacht Club (VYC) in Nuevo Vallarta, Riviera Nayarit. As happens every year, this traditional regatta will include participants from Mexico, the United States and Canada, most of which have their boats in the marinas at Nuevo Vallarta, La Cruz de Huanacaxtle and Puerto Vallarta. The vast majority of participants are registering this last week before the competition; over 25 boats are expected to be on the list, with over 200 crewmembers competing in what’s considered the coolest regatta in the world. Competing boats invited to enjoy the event must all be ocean-ready and 22 feet or over, and even though it’s a friendly match no one wants to miss out on the trophy, which gives the winner extensive bragging rights among fellow sailors in the bay. Friendly or not, all corresponding sailing regatta rules and regulations must be followed, and there will also be an official international judge to see to their enforcement. The opening ceremony at the VYC will be on February 28 and the closing dinner and awards ceremony will take place on March 4 at the Paradise Village hotel. Some of the competitors have been in the bay area for three months prior to the competition preparing their boats for a Pacific crossing, which is why participation in the regatta gives them the opportunity to test their equipment and fine-tune what’s needed. For additional details visit: http://www.banderasbayregatta.com/.